Many journalists are predisposed to believe that government can be part of the solution to plenty of societal ills, but not the one threatening their livelihoods – the contraction of quality news reporting across the country, and overseas, resulting from the implosion of previously viable business models for such endeavors. As a tribe, journalists abhor the idea that government should enact any new laws or reallocate any federal funding in response to these changes. The aversion is admirable, rooted in concerns that state action, almost by definition, encroaches on press freedom. But the purism can be overdone. For one thing, it conveniently overlooks a great deal of existing government management of the media, including mail subsidies, spectrum-allocation decisions and support for public broadcasting. The most extreme anti-Washington attitudes voiced by prominent journalists in recent months would, if adopted, probably kill of Big Bird, Frontline, and PBS NewsHour, and seriously damage All Things Considered and Morning Edition. The question of what constitutes a proper media policy isn’t an academic one reserved for places like the Annenberg School at USC. The Federal Communications Commission has launched a Future of Media Project to “assess,” in the words of its leader Steve Waldman, “whether all Americans have access to vibrant, diverse sources of news and information that will enable them to enrich their lives, their communities, and our democracy.” The project is expected to set forth policy options to strengthen the media’s contributions to American democracy and civic health. And it will behoove leading media players to set aside their purist sensibilities on the subject to enrich the debate likely to follow. How, exactly, to interpret and meet this standard has been much debated since then. The practical issues flowing from Congress’s public interest aspirations changed continually as media technologies changed, and as powerful commercial interests lobbied for favors. The result is a system in which federal, state, and local regulators pervasively set the economic conditions in which for-profit and nonprofit journalism is produced, while, at the same time, they require certain noncommercial activities from licensees, meant to promote and protect the public interest. The FCC oversees the ways in which the public is compensated – in cash or by mandated public interest endeavors – for the use of scarce spectrum on the airwaves. At the heart of this regime are rules such as “must carry” (requiring cable operators to carry local news channels) “public interest” obligations undertaken by broadcasters in exchange for their licenses to operate. These rules offer a promising starting place for reform. In theory, radio and television stations must demonstrate a commitment to public issues as a condition for FCC license renewal. The stations report in quarterly filings about their performance. In reality, that tradeoff has devolved into something of a farce. If you have an afternoon to kill and want some entertainment, visit a local broadcaster and ask to see their “PIO” filing (for “public interest obligation”) which they have to make available to viewers. If nothing else, the exercise will make you admire the interns who creatively spin schlocky and gory “if it bleeds it leads” news stories as issues-driven reporting in the public interest. Enough with the pretense. Let’s relieve broadcasters of their obligation in exchange for spectrum user fees that would add funding to the Corporation for Public Broadcasting, which is purpose-built to serve the public interest in ways that licensed commercial broadcasters obviously are not. The National Association of Broadcasters estimates that stations spend $7 billion annually by donating airtime to support their public interest obligations, a figure that does not include the cost of paperwork filings; even 10 percent of that amount, redirected to the CPB, could remake public media in the United States. There has been much experimentation with new forms of investigative journalism, and some non-profit efforts like Pro Publica are delivering impressive results. But such experimentation may not produce a robust and sustainable business model for commercial journalism. History in the United States shows that readers of the news have never paid anywhere close to the full cost of providing the news. Rather, journalism has always been subsidized to a large extent by the federal government, political parties, or advertising. On the broadcast front, commercial licensees are making profits from scarce public resources, the airwaves; they must compensate the public for their access, just as resource companies do when they mine ore or cut trees in public parks. Moreover, as the Founders envisioned, freedom of the press and a healthy public square are vital to the republic – so vital that their pursuit is worthy of modest, content-neutral public investments in what is otherwise an overwhelmingly free-market system. We do have reliable evidence that the public continues to value mainstream professional journalism, however, even when so many new choices are available in digital spaces. The total audience for the best newspaper journalism has grown markedly since 2000, if online readers are taken into account. The audiences for existing public media outlets in the U.S. are also healthy and growing. The country’s 365 public television stations have 61 million viewers each week, according to research by Barbara Cochran, the Curtis B. Hurley Chair of Public Affairs Journalism at the Missouri School of Journalism. Public radio has 30 million listeners. During the last two decades, the total audience for NPR member stations has grown 176 percent, including a 9 percent expansion during the last five years. Altogether, the public broadcasting system reaches 98 percent of the American population. Opinion surveys also show that the public media outlets enjoy considerably higher trust than do their commercial counterparts. Our public media system has achieved this extraordinary result despite being starved for public funds, in comparison to other industrialized countries. The U. S. spends about $1.43 per capita, or $420 million a year, on public media. Great Britain spends about $87 per capita. Canada, one of the most miserly among industrialized countries, spends about $27 per capita. The Corporation for Public Broadcasting’s budget has increased less than 5 percent in real terms since 1982. The U.S. has always taken less government-driven approaches to media policy than other rich countries, and in these fiscally challenged times it is unrealistic to consider increases in funding from the general tax base. But it should be possible to pursue reforms and add funding to public media without making any significant call on general revenues. The FCC regularly auctions and allocates valuable broadcast spectrum. There should be opportunities to raise considerable funds from spectrum purchasers and users, and to redirect to more productive use the funds they already expend under regulatory mandates such as the P.I.O. system. What can we achieve with this revenue? For a number of reasons, including political practicality, we should construct reform within the system we already have, rather than invent a new one. That means we should direct all or nearly all of the increased funds we get from public property users and other special interests to the Corporation for Public Broadcasting, in return for systemic reforms within the CPB-funded system. The Public Broadcasting Act of 1967 created the CPB. The system was founded to promote the public interest amid pervasive commercial media – precisely the mission we need to revive now. The Corporation has contributed to the success of PBS and NPR. Some of its recent experiments, such as Argo, which is intended to fund multimedia local reporting in response to the loss of newspaper jobs, may be promising. I’ve heard suggestions that new funding should be linked to more pluralistic formulas, including a restructuring of CPB to encompass new digital entrants, such as ProPublica, for example, or local sites like the nonprofit Voice of San Diego – a change that might be signaled by renaming the entity as the Corporation for Public Media. That may be ambitious politically, but it is certainly the right strategic direction. Any new funding regime should be measured by whether or not it will produce more serious, independent, diverse, public-minded reporting. Any new funds routed through a reformed corporation should come with conditions. One should be that that PBS, NPR, and their member stations have incentives to work across digital media, and to embrace local reporting to a much greater degree than they do now (which is not much, overall; only 478 of the 901 stations airing NPR programming have staff of any kind, and only a fraction of those have a local news staff). The stations should also be given incentives to connect their audiences to other non-profit and commercial media outlets through open systems, just as web aggregators do, in order to strengthen innovators and new entrants. The safeguards against politicization of the CPB must be strengthened and its bias towards mainstream television and radio curbed. There is, in any event, no inherent moral difference between corporate advertising dollars and government dollars; both flow from institutions whose power over citizens journalists should be seeking to describe and challenge. Conservatives see NPR as hobbled by liberal bias, an impression reinforced by the hasty dismissal last year of commentator Juan Williams. The network should be accountable to all of its legitimate constituents – to function as a public square it must be open and fair to all comers. The BBC provides an instructive example: listening to conservative criticism, its managers concluded that their problem was not bias in the way they reported, but an unconscious bias in the subjects they chose. Issues of concern to conservatives, such as immigration and business, were disproportionately neglected. A course correction broadened the BBC’s base of support. In addition to civic information, civil debate, and investigations into governmental and corporate performance, a strong public media is becoming more essential than ever because technology is rapidly transforming the basic role of media within society and households. 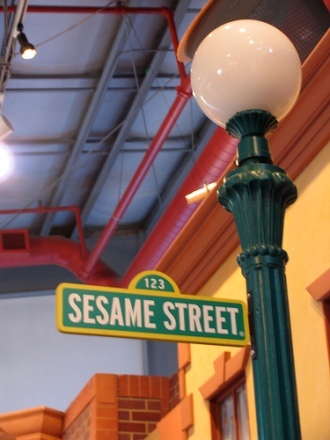 Through television, Sesame Street educated a generation of American preschoolers. Through the web and mobile devices, Americans of the future will not just educate their toddlers, they will likely retrain themselves for the workplace; manage their health online; and join scores of virtual communities. That is not a matter of left versus right, or of competition between political parties; it concerns the health of civil society. A campaign to reform and revitalize public media waged to advance such a vision will have many constituents: rural states left out of the urban media cacophony; independent voters and engaged citizens searching for reason and cross-checked facts, as well as in-depth reporting that will hold power to account; diverse community and ethnic groups seeking more inclusive sources of information; educators and public health institutions seeking reliable channels of public-minded reporting about subjects too often neglected; and politicians of all ideological stripes whose careers are unreasonably endangered by undisciplined, self-interested electronic publishers. As Bill Kling, the retiring chairman of American Public Media, and others have argued, in the coming world of infinite channels, breathtaking challenges to privacy, and politics that threaten to be as fractured as the media, the country requires a reliable, public-minded virtual square to sort fact from fiction and honest debate from cynically funded manipulation. Steve Coll, former managing editor of the Washington Post and an Occidental College alum, is the President of the New America Foundation. A longer version of this article appeared in the November/December 2010 Columbia Journalism Review.